Mendelsohn departed to a Boston suburban parish for semi-retirement in 1978. Two years later, we called Duke T. Gray from Toronto. During his six-year pastorate, we completed the legal separation from the church of the Chicago Children’s Choir and the Center for Family Development. These projects had become too heavy financial obligations. Besides, they could receive more outside funding if not church-affiliated. But the Center had to close in 1989 because of inadequate financing. The church continues close relations with the Chicago Children’s Choir. Although many members wished Duke Gray to remain our minister because of his excellent preaching and management, a majority of the congregation voted in 1986 to discharge him. Two years later, after an interim ministry by Peter Samson, we called Thomas Chulak from the Unitarian Universalist Association headquarters to become our next minister. He greatly revived our congregation, even to the extent of our undertaking the long delayed repair of the church steeple at a cost of a quarter of a million dollars. So we were sad when he was called away from us by the North Shore Unitarian Church of Plandome, Long Island, New York, after only three and a half years with us. Our associate minister Michelle Bentley, a black woman, became our interim minister. This was appropriate because women have played a large role in the life our church, and blacks have done so for the last twenty years. In recent years, four chairpersons of our Board of Trustees have been black, and two of these were women. This chairpersonship of our Board is the most responsible and important position in our church. The trustees are our governing board, responsible to no hierarchy or clergy but only to our congregation, which always has the last word. Our church is truly democratic, both in theory and practice. We called Terasa Cooley to be our minister in 1993. She came to us from Detroit, but was born in Texas. She graduated from the University of Texas and the Harvard Divinity School. During her ministry with us, the church has gained numerous younger members, enjoys increasing participation by more members, and even a larger financial commitment to the church. We are astonished that we have fully paid for the steeple repair in only four years, and we have made a substantial start toward making the church accessible to the physically handicapped. 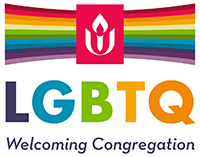 We broaden our appeal in another way by voting to welcome to our church homosexuals, bisexuals, and transgendered people. We believe it only right that the church should welcome all who share our serious concerns. An extraordinary event was the congregation’s ordination to the ministry of a Meadville Theological School senior shortly before he died of AIDS. In 1995 we called as our associate minister John Gilmore, an African American current graduate of Meadville/Lombard, in order to extend our outreach to the community. A year later he accepted a call elsewhere. In 1997, Access First installed a ramp into the main sanctuary, and a wheelchair lift from the Sanctuary into Hull Chapel. These actions are part of a larger plan to make the building physically accessible to all. The Congregation voted to participate in the Grove Parc project, working with other congregations to create and support a child care center at the housing development in Woodlawn. This is an initiative of the Social Justice Council, designed to continue the spirit of social activism so evident throughout our history. Our last “official history” was written in 1997, but that’s two decades now! Terasa Cooley left the church in 1998, and we called Nina Gray to be our minister from 1999-2011. During that time we also called Marlene Walker to serve as our minister of religious education from 2001-2004. On Rev. Nina’s retirement, she was named Minister Emerita, and the congregation brought Barbara Gadon to serve as interim minister from 2011-2013. Rocked financially by the loss of tenants to rent Fenn House, the congregation went through the difficult and sometimes contentious decision to sell the building, was was completed in 2014. In 2013, we called David and Teri Schwartz to be our settled ministers.